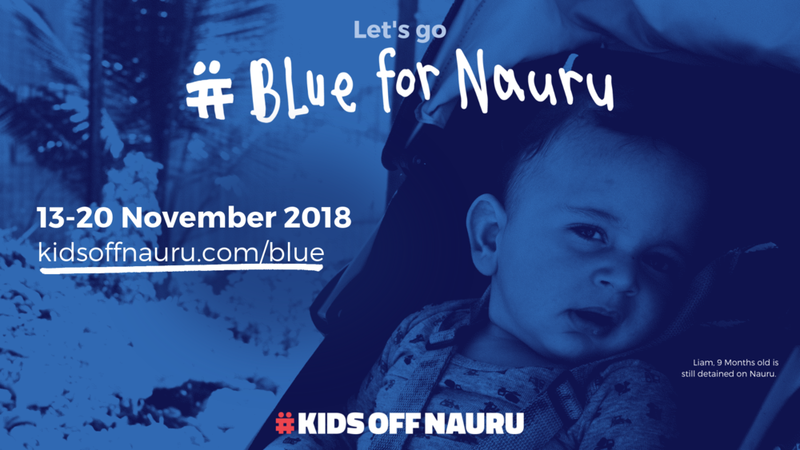 In the week before Universal Children’s Day (20 Nov) the #KidsOffNauru campaign is calling for Australians to “go blue” in solidarity with the children and families our nation has trapped on Nauru. Blue can symbolise sadness and depression - which is appropriate given the suffering these people are enduring in our name. Download resources including logos, kids drawings, media releases here. Initiative of World Vision Australia Supported by Today.